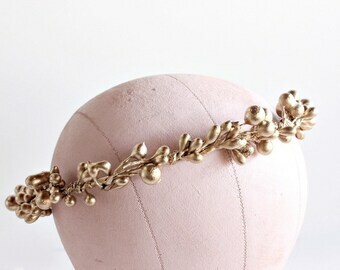 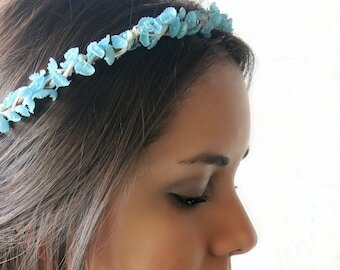 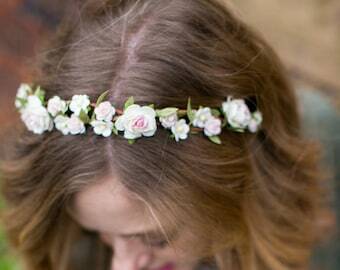 Lovely floral tiara or headband adorned with vintage hand painted gold "Lilly of the valley" flowers. 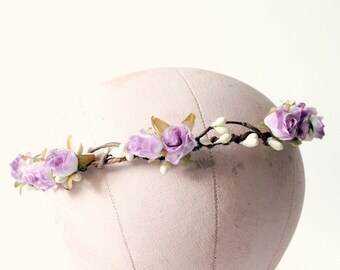 This floral halo is open on the back and has an ivory ribbon to adjust to fit any size of the head including young girls. 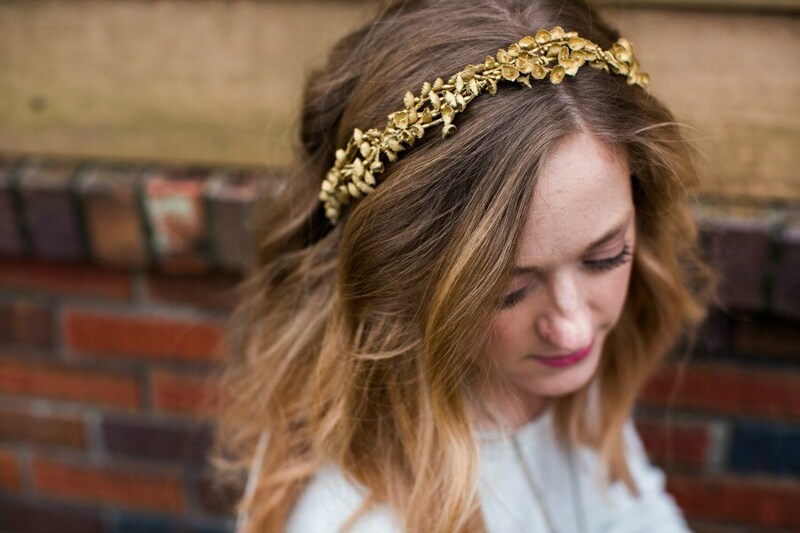 Its so beautiful and comfortable compared to a metal gold headband! Perfect for my wedding day.